I used L.A. Girl Army Green as a base, with Nubar Forest for the logo and with Bundle Monster plate BM07. Topped it all off with 2 coats of Seche Vite top coat. 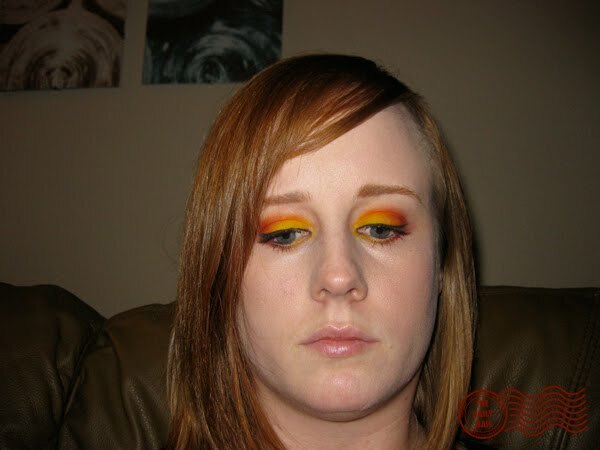 Photo courtesy of Keri B.
I used MAC Chrome Yellow, MAC Orange pigment, and MAC Basic Red pigment with MAC blacktrack to line. oooh i love this mani.. I also watched all the episodes in one week!! that show is so ridic now.. I'm not too into it as I used to be..I want celia back..
Also, Happy Birthday, sister! 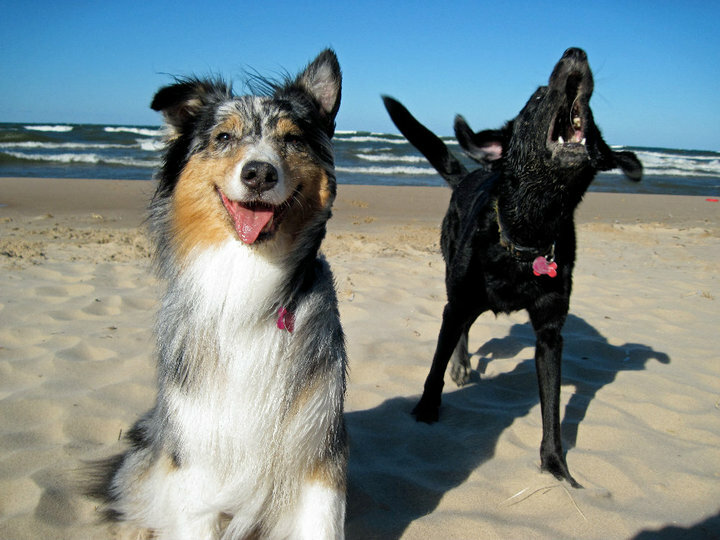 :D Make it a good one, because life isn't a given! WOW! so good like always! this show is absolutely amazing and hilarious! my favorite character is Celia... especially when she is in prison and gradually becomes more like the inmates! BEST SHOW ever :) I also looooove Andy! I'm so ready for tonight's premiere! Awesome colors in this mani! Happy birthday Stacy! It's so impressive how well you do your nails! I also enjoy watching Weeds, so I loved the design! Thanks for sharing! I am such a fan of your blog and your amazing nail art! 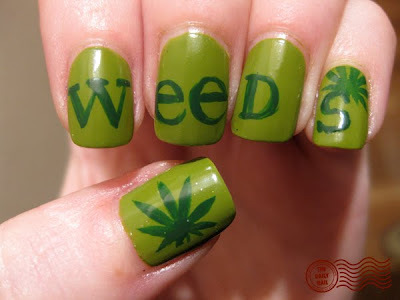 This Weeds mani is so freaking awesome! your yellow eyelids looks so cool, they make a great combination with your sparky hair. please post more photos.